" Physical development is consisting of elevated station that has reached 94.42 percent, underground station has reached 97.53 percent, and depot and elevated section has reached 94.42 percent"
The phase I MRT development that connects Lebak Bulus to HI Roundabout today, has reached 95.97 percent. 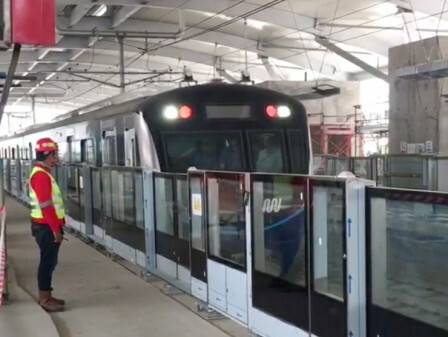 "Physical development is consisting of elevated station that has reached 94.42 percent, underground station has reached 97.53 percent, and depot and elevated section has reached 94.42 percent," disclosed MRT Jakarta President Director, William P Sabandar, Tuesday (8/28). If it is calculated with operation time, his party still has 184 days to prepare for any shortcomings. "Hopefully everything can run smoothly and well," he hoped.